India has been one of the fastest growing smartphone markets across the globe for more than half a decade now. The appetite for smartphones has kept growing unabated ever since the first wave of cheap Android devices hit the market. First it was Micromax, Lava and Karbonn which set the market on fire, and then it was the turn of the mavericks Moto, Xiaomi and OnePlus to steal the show and the Indian companies’ lunch. And they did this by focussing purely on the online segment. The success reaped by these companies in the online space has focussed Huawei also to focus only on online retailers for its ultra-successful Honor brand of phones. While 5 years ago hardware makers had to make the call of whether they would focus on online sales or offline ones, it had become increasingly clear with the success of Moto G, India’s first online-exclusive phone, that online shopping was the way to go. The Moto G launched in 2013 and found great traction through Flipkart. Smaller brands found that offline channel selling was far more expensive, and establishing trust in an unknown brand isn’t that easy among skeptic Indians. So online is the route that most new hardware makers have taken to these days. But there are many indications that the next stage of the smartphone battle in India will take place in the offline markets! Offline retail is attracting a lot of attention as buyer habits change, and a new kind of buyer emerged in India – the first-time phone buyers outside India’s big cities. 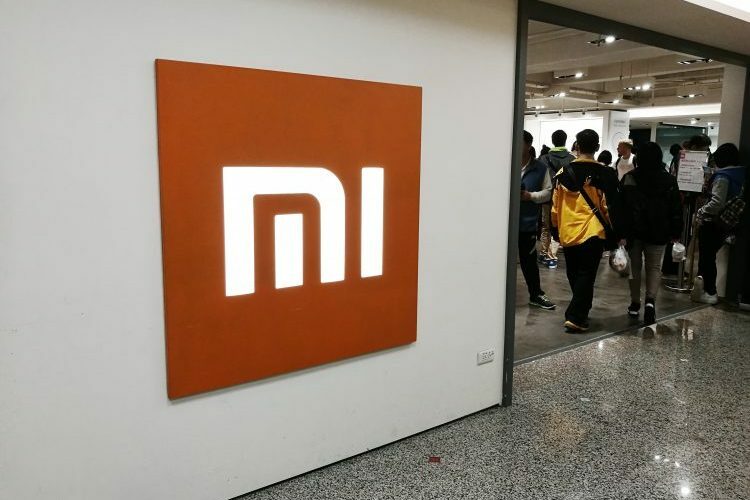 It all began with the resurgence of Moto in India, followed by the best-selling Chinese giant Xiaomi, who decided to build their presence mostly through online sales. They both partnered with Flipkart to sell their devices, forging the belief that this was the future of commerce in India. The decision to sell their devices exclusively using a single e-commerce platform was a transformative strategy, benefiting both parties equally. It not only helped hardware makers cut the distribution costs and focus on the delivery of devices directly in the hands of Gen-Y and Gen-Z, who were being rapidly attracted to the online world. This also enabled them to make their phones available at costs lower than all its competitors due to less overhead. But, while these phone makers were making waves online, selling hundreds of their phones through flash sales, there were a few others who preferred the old school way. Oppo and Vivo are two of the most prominent Chinese brands who’re well-known among the people in the retail market, all thanks to their hefty spend on retail establishment and marketing campaigns. This also gave these phone makers a chance to listen to consumer feedback first-hand and launch phones that meet their desires (like better selfie cameras and bigger batteries). Their strategy has attracted Xiaomi, Honor and Moto to the offline space as well. The hardware makers that were once squarely concentrated on online sales are now gunning for an offline retail presence, in order to cover more ground among the masses. Xiaomi, Moto, and Honor, may have arrived in India just a few years ago but have managed to rule the e-commerce portals in a short time. They no longer plan to limit themselves to one platform and extend their reach to an even wider audience, which is available just via offline channels. This means you will soon have access to touch and feel the devices from every phone makers, right at the very nearest retail store. As phone sales staggered a little earlier in 2017, Xiaomi started taking measures to make its presence known in the offline market. The company tested the waters by launching its Redmi 3S Plus device in retail store to give users a chance to familiarize themselves with what their phones have to offer. Lenovo made a similar move and released an offline variant for the K6 Power. 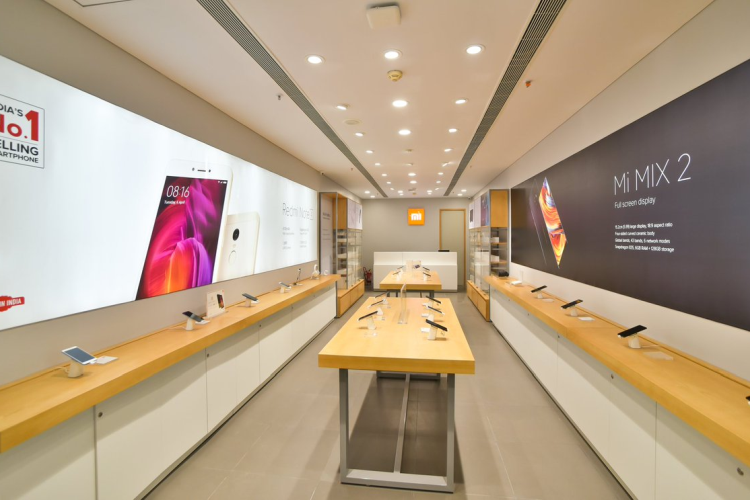 The Chinese giant has started building a network of offline partner shops and has signed up several Mi Preferred Partners across the country. It plans to add more preferred partner stores to the benefit of prospective buyers who are skeptical of online purchases. Exciting scenes from the Delhi meet with 200+ Mi Preferred Partners. 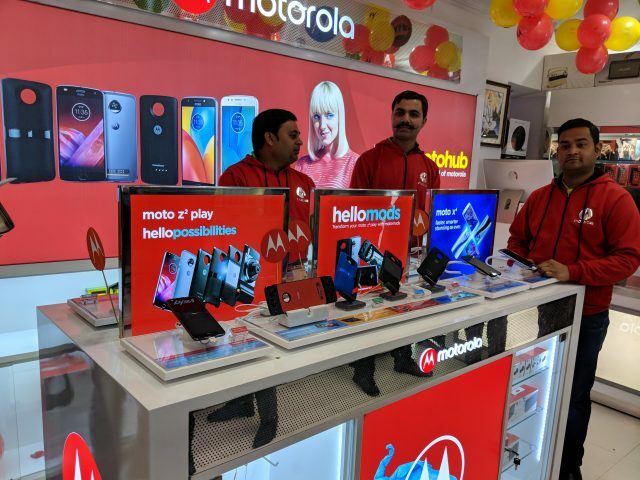 Recently, Lenovo-owned Motorola has also been adopting a similar strategy, setting up Moto Hubs over the country, to extend its roots in India’s intensely competitive offline market. The company has already set up 150 odd stores and plans to open more than 1000 Moto Hubs in India over this year, across six cities. Lenovo plans to target the millennial crowd and cut reliance on online channels by bringing it on par with their offline efforts. The aforementioned hardware makers are stirring the offline scene after stealing a major chunk of the Indian smartphone sales away from existing global, as well as Indian brands. The industry experts are of the opinion that smartphone makers switching to a 50-50 online-offline sales model will be more beneficial for everybody. It would give users the satisfaction of handling the device before making a decision and phone makers get a boost in sales. Their renewed strategy puts Samsung in further danger, who is now ready to fight back by launching its own online-exclusive phone lineup. It has recently debuted Samsung Mall e-store in India to make it simpler for consumers to purchase its devices from the comfort of their homes. It already holds an impressive hold over the offline Indian market. Brands like Xiaomi and Moto have earned a great following in India and their plan is to no longer miss out on buyers by only conducting flash sales on e-commerce platforms. It sometimes does get frustrating when you’re not able to snag a phone in flash sales, which ultimately pushes users to look for alternatives in the offline market, where Samsung is a strong contender still. This is the slice that Xiaomi and Moto are after, while Samsung zags to go for their online pie. But, with the Chinese players joining the offline ecosystem, the competition is soon going to get quite intense over the coming months. It’s going to be a fascinating duel in the market and this could be the make-or-break play for many of India’s top smartphone players. Let us know your opinions about who will come out on top, in the comments below.